It’s that time! You’re sure to be planning vacation time and looking for places to stay in the Finger Lakes. Skaneateles Luxury Vacation Rentals could be your home away from home this year. With some absolutely beautiful properties within walking distance of all the lovely shops, restaurants and the lake, you will find the perfect ambiance for your stay. There are many places to stay, but Finger Lakes vacation rentals do book up early. Our properties are lavishly fitted out, clean, and comfortable with everything you could possibly need for a quiet relaxing time away or for a special occasion when you might need to entertain. How wonderful to be able to experience your vacation time here in one of our luxury vacation rentals. Skaneateles Luxury Vacation Rentals has been providing splendid accommodations to discerning travelers and vacationers in the Finger Lakes region. Our properties are meticulously maintained and provide everything you need to have a most enjoyable stay. Imagine the pleasure of a comfortable and private residence rather than a stuffy motel for your next vacation. You get your key and enter a real home with beautiful furnishings, space to move about, the comforts of home (and more), plus ample entertaining space. Our properties have been a source of pride for us here at Finger Lakes Luxury Rentals. We are ecstatic to be able to be your vacation home of choice, and know that you will enjoy the surrounding area knowing you have a place to call home. Many of our Skaneateles Luxury vacation rentals are located within a short stroll to all the Village amenities. There is never a shortage of things to see, places to go, restaurants to feed you when you’re hungry, and of course the relaxation of being right near the lake. Throughout the Finger Lakes area, we have several prime properties that will suit your needs and destination. One of the great attractions for many sportsmen here are the fishing charters. You can find the perfect charter expedition for the area you wish to stay. Northend Outdoors http://www.northendoutdoors.com/ is one of our Skaneateles outdoor water sports provider. With kayaking and paddleboats available, you could turn your stay into quite an adventure. Check out our Fishing Charters page for more options. We would like to welcome you to the Finger Lakes area. This lovely Village of Skaneateles will bring you many fine attractions and adventures. If you’d rather spend the day at the beach, again, just a short walk and you are there. However you wish to spend you vacation this year, the Finger Lakes region is your playground. Relax, enjoy the sun, engage is the plentiful activities, and have an all-around amazing time here. Finger Lakes Luxury Rentals will satisfy your every need. Isn’t it time you treated yourself to some of the best places to stay in the Finger Lakes area? 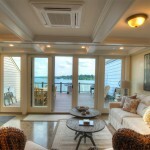 Skaneateles luxury vacation rentals will be your point of destination from now on. Come on and reserve your special home today. We look forward to having you here and knowing that you will be completely satisfied with our luxury vacation rentals. It’s so exciting to see the beginning of Springtime and the promise of beautiful days and starlit nights ahead. Springtime in the Finger Lakes region is a busy and entertaining area with numerous opportunities to enjoy the local activities. 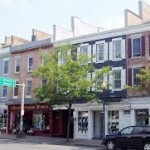 Skaneateles luxury rentals provides some incredibly beautiful properties that you could ever find. It’s time to look at options for places to stay in the Finger Lakes region, and today it is more common to find luxury vacation rentals that will give you such a wonderful experience. You would be able to have a spacious, furnished and private home all to yourself where you can rest, relax and even entertain. With May approaching and the local activities gearing up, let’s look at some adventures you could have while you are visiting the Finger Lakes. It’s the start of another season of summertime fun. Come for family fun at its finest and enjoy all your park favorites like the Jack Rabbit, carousel, Log Flume, the Whirlwind and more. Head to our website for more information and special offers as well. The Clemens Center and the Elmira College 2015-2016 Presidential Lecture Series present GARRISON KEILLOR: An Evening of Storytelling Thursday, May 19, 2016 at 7:00 p.m. Tickets: $70/$59.50/$49.50/$25. Processing and facility maintenance fees apply. Master Storyteller and Host of Public Radio’s A Prairie Home Companion One of the most prolific American storytellers of all time, Garrison Keillor is a writer and humorist best known for his popular live radio variety show, A Prairie Home Companion, which attracts more than 4 million listeners on more than 600 public radio stations each week. Offering insight and stories from his journey as one of America’s greatest storytellers, Garrison Keillor captivates audiences with his unique blend of comedy, charisma and wisdom. Springtime in the Finger Lakes is an excellent time to plan your vacation. Skaneateles luxury rentals wants you to enjoy your stay and will be happy to help you enjoy many local activities. Take your next vacation in the Finger Lakes region and be sure to contact us at 315-317-8200 for your reservations! Enjoy the glorious month of May with us!